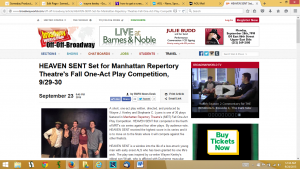 9/30/15 Someday Productions’ one act, HEAVEN SENT, wins grand prize at Manhattan Repertory Theatre’s fall competition. A short, one-act play written, directed, and produced by Wayne J. Keeley and Stephanie C. Lyons was one of 30 plays featured in Manhattan Repertory Theatre’s (MRT) Fall One-Act Play Competition. Heaven Sent first competed in the fourth of MRT’s six series against four other plays. By audience vote, Heaven Sent received the highest score in its series and it moved on to the finals where it competed against five other finalists (one from each series). One finalist was removed from the competition after the first performance due to scheduling conflicts. Ultimately Heaven Sent went on to become the winning play for the entire competition. Heaven Sent is a window into the life of a love-struck young man with early onset ALS (amyotrophic lateral sclerosis) who has been granted his one life’s wish. 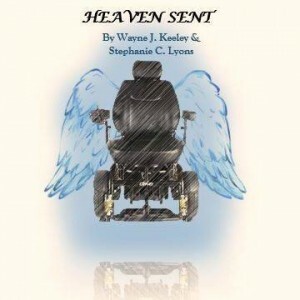 The play was inspired by co-writer Wayne Keeley’s eldest son Wyatt, who is afflicted with Duchenne muscular dystrophy. The play featured actors (in order of appearance) Keith DiRienzo, Emma Jean Delia, Egbert Bernard, Stephen Elrod, and Matt Heller. Alistair Ward served in the role of production assistant and all currently are of New York. 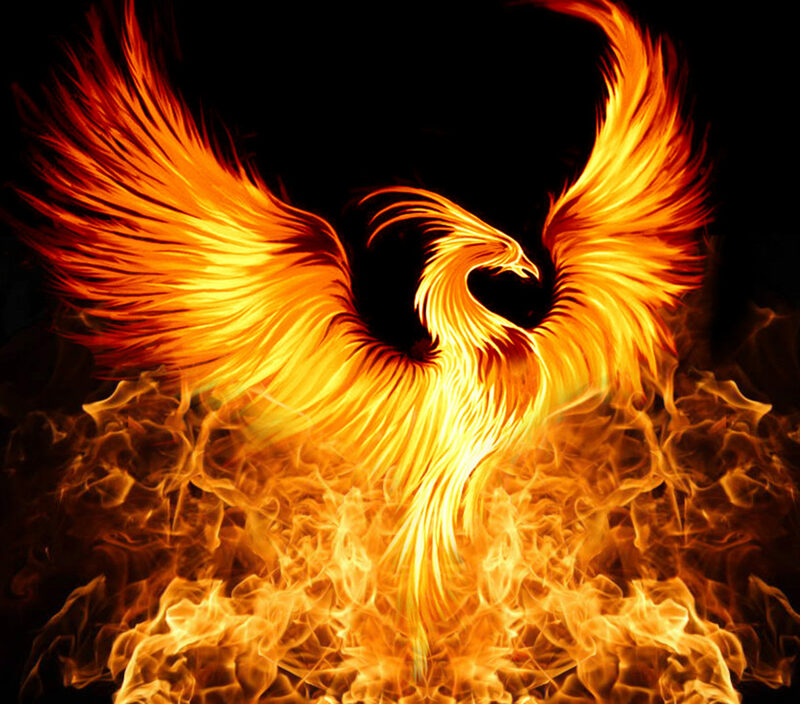 Heaven Sent was extremely well received and reviewed. Keeley and Lyons have plans to create a full-length version of the play. Manhattan Repertory Theatre is in the heart of the city, 303 W. 42nd Street, between 7th and 8th Avenues, 6th Floor, New York City, NY. Keeley and Lyons began Someday Productions LLC (www.somedayprods.com) as “A company dedicated to the creation of new and important projects for all genres in the entertainment industry.” Their myriad dually-voiced works include those for television, film, theatre, and books and are in various stages of development. Their Pillow Talking blog (www.somedayprods.com/talking) sheds light on the he-said/she-saids of everything from the entertainment industry to travel and parenting. 9/17/15 Someday Productions’ One Act, HEAVEN SENT opens tonight at Manhattan Repertory Theatre and runs through Sunday, September 20th. 5/15 Someday Productions is proud to announce that it has optioned one of its award winning screenplays to Bryant One (founded by independent Director Austin Chick and Producer/Actor Zachery Bryan). 5/15 Someday Productions: Short one act, “Commuters” has been selected for performance in the Manhattan Repertory Theatre’s short play competition.